Step 1: Prep the cocktails ahead of time. Step 2: Jump in pool. Photo by Joey Wharton. Pool season is almost here! Get ready to be outside, like, 90% of the time. Our "work" to "play" ratio is about to skew way towards the latter. 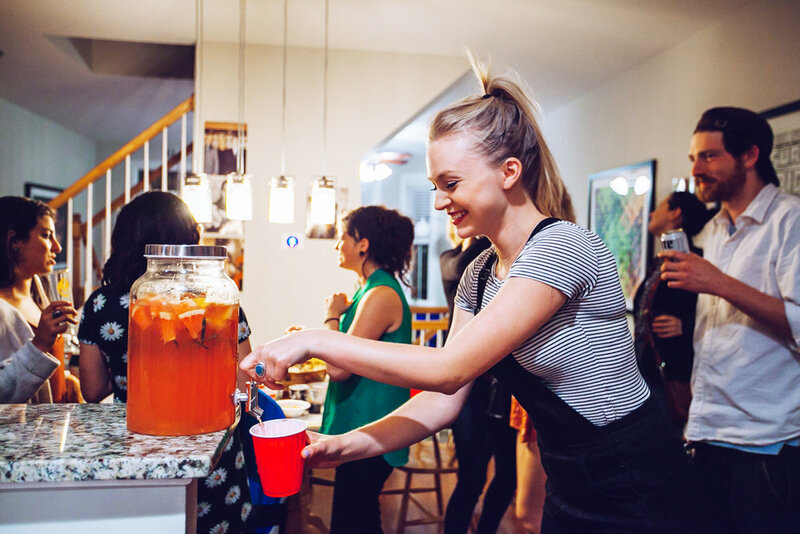 One way to harsh your summertime party vibes is to get stuck playing bartender all day. The Good Times Professionals here at Belle Isle Moonshine are here to help. We've compiled our favorite big batch party cocktails that you can make ahead of time, set out, and enjoy. These drinks really pack a punch (pun very intended), and they'll keep your guests happily satiated with minimal effort from you. 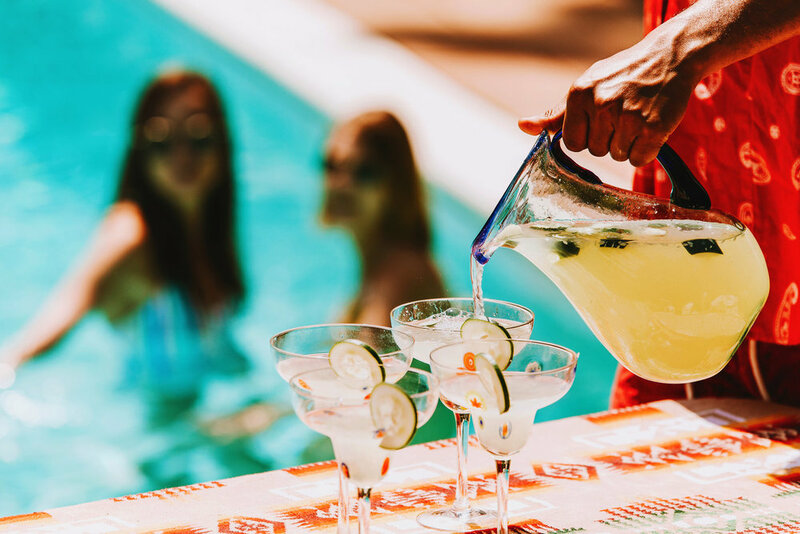 Because, as we all know, good drinks, good friends, and relaxation is what summer is all about. Think boozy ciders are just for fall and winter? Think again! This spicy cider packs a refreshing punch perfect for any season. Jalapeños, hot sauce, and Honey Habanero? Y'all, this is a hot one. A favorite of the Belle Isle fam, this refresher will play you hot and cool all summer long. 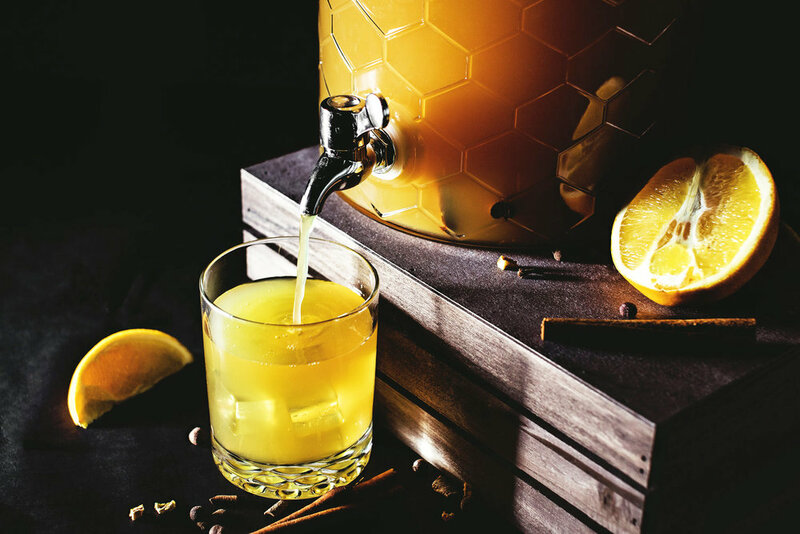 A perfect mix of citrusy and herbaceous, this punch is sure to be a crowdpleaser at any party. This baby has "garden party" written all over it. Now that you have the tools you need to host the perfect outdoor party, get outside and enjoy the sunshine! Want to hear more about our story?